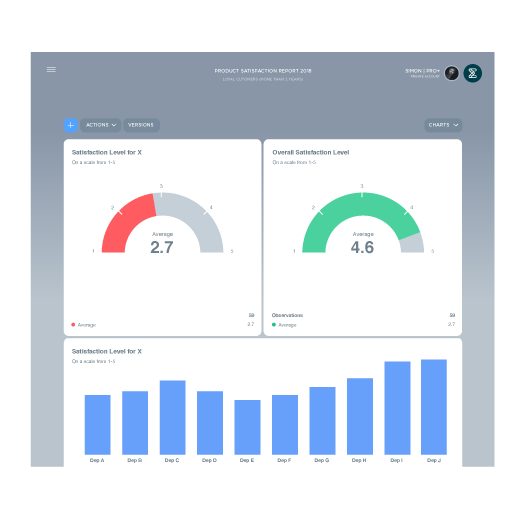 We measure and improve customer and employee metrics, such as engagement and loyalty. We work with data which allows us to provide valuable insights that will elevate and improve your business. By pooling together the collective knowledge, experience, and expertise our consultants have to offer, we can identify the issues that need your attention and help you with a strategy and action plan. Whether it's continuous or periodic studies, we strongly believe that making better decisions is directly linked to work processes, therefore, our solutions are fully automatized, giving you the ability to focus on transforming the way you work and do business. Depending on your needs, we can help with some of your challenges or deliver end-to-end solutions. We are equipped to consult on questionnaire setup that yield the best results. Furthermore, Enalyzer uses Zapier to integrate with more than 1000 apps, including those you use every day, such as Gmail, Google Sheets, Salesforce, and MailChimp. Through integration, you can expect your job to feel effortless and leave you with more time to make better decisions. We'll gather our expertise and experience to identify your needs and develop the right solution for you. Get in touch with us and get to know your customers. Building a loyal customer following depends highly on knowing how your customers perceive your products/services. Therefore, you have to be equipped with tools that can effectively measure your customer satisfaction and thus meet customer expectation. 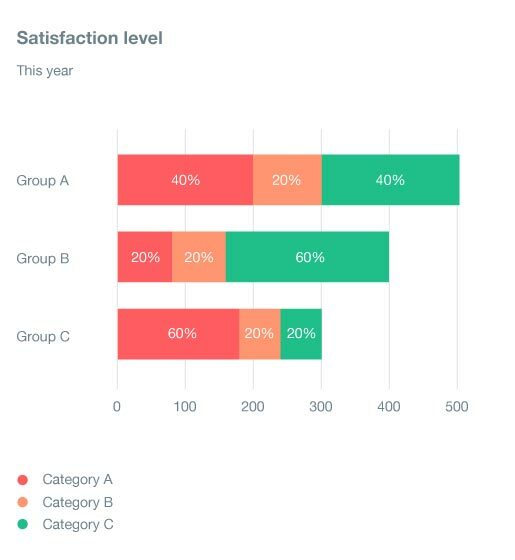 Annual customer satisfaction surveys measure a multitude of factors, such as brand loyalty, perceived quality of your product/service and perceived reliability. We have a ready-to-go survey that can be fully customized to your needs. Furthermore, with Enalyzer reports, you'll understand the feedback and we'll prepare action plans to elevate your business. Touchpoints are anytime a potential or existing customer comes in contact with your brand, before, during or after their purchase. Touchpoints can include your website, retail stores, and social media. Every single touchpoint presents a valuable opportunity to engage with your customers, listen to what they have to say and use their feedback in order to optimize your customer journey. The number of touchpoints can be endless but it doesn't have to feel endless. We can help you identify your touchpoints, develop a fully automatized plan to ensure you react immediately and deliver better customer experience. We promise to make your job easier - what's not to like? Customer onboarding experience is fundamental to excellent customer service and customer retention. As Lincoln Murphy once said, the seeds of churn are planted early, therefore a well-functioning customer onboarding is crucial. Your customer relationships can quickly take a wrong turn if customers can't see value in your product/service, find it difficult to use, or just lose interest. 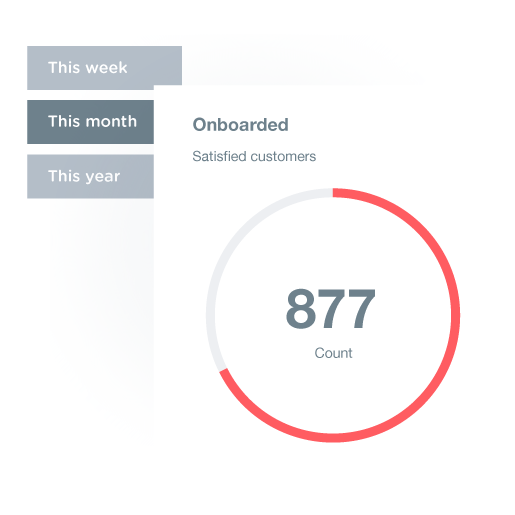 A successful customer onboarding plan needs an effective customer feedback program. Get in touch with us and we'll tailor a solution to your needs and take your customer onboarding to the next level. 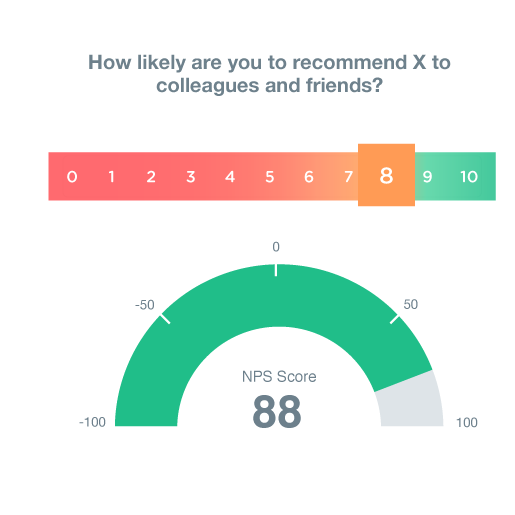 NPS is a popular and effective metric to measure customer loyalty and gauges the likeliness and willingness of customers recommending your product or service. 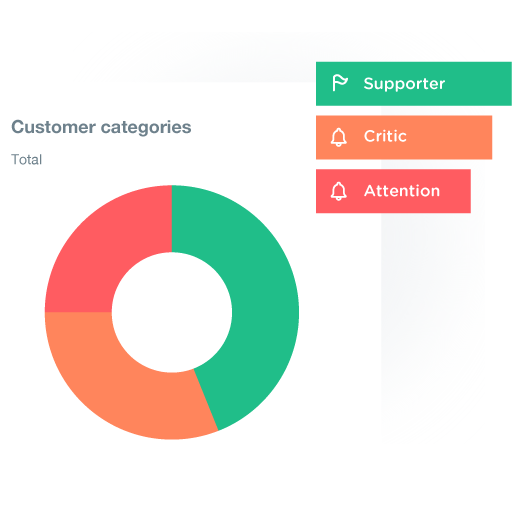 The NPS allows you to segment your customers by loyalty, identify unsatisfied customers, benchmark against competitors and the overall industry, and discover customer loyalty drivers. 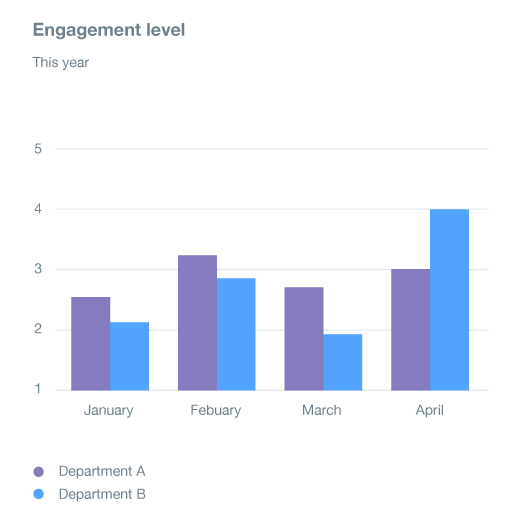 NPS insight is only valuable if coupled with action. That's why we've developed automated solutions that'll allow you to react to your feedback and boost your customer experience. Companies with a strong base of loyal customers have one thing in common: highly engaged employees. If your employees are engaged, they will perform at every level, delivering a better product and customer service. In short: customer experience is a direct result of your employee experience. Organizations are quickly switching to team-based structures, making the employees experience more important but also more complex to monitor and improve. Our solutions aim to build a strong and open communication between leadership and employees by identifying areas for improvement and engagement drivers. We'll help you build action plans based on insight and ensure you can track the success of your improvement initiatives in real-time. 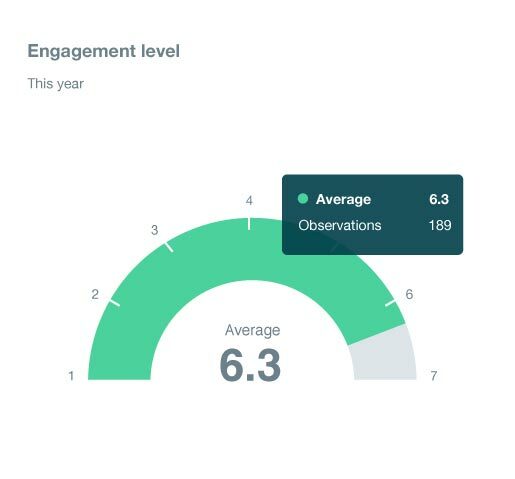 Annual employee engagement surveys can give your organization valuable insight into how happy and engaged your employees are, as well as how they thrive in the workplace. Understanding and actively working to improve employee engagement is key, as engagement is a vital driving force for the innovative ability of a company. In other words, employees' well-being and engagement simply reflect in their work. We have a ready-to-go template that looks into different aspects such as, motivation, satisfaction, leadership, loyalty, and engagement. We can tailor the template to your needs and provide you with action plans to ensure your employees are fully engaged in your company. Losing an employee is bad for business. Research consistently finds that employee retention is the key to maintaining know-how and increasing morale, customer satisfaction, and sales. It's important. To ensure you address issues when they arise, constantly measure morale and ask for employee feedback with pulse surveys. Pulse surveys are simple and short and are designed to be done weekly or every few weeks. They give a quick snapshot of the current situation and can measure a wide variety of topics. We make sure that pulse surveys address your specific needs and have an action planned attached to them. With retention, action is key! Leadership is about achieving results and meeting concrete organizational goals. Leadership is also about employees because the ability to foster engagement is inherently connected to achieving desired results. In short: leadership efficiency is directly linked to the overall employee experience and therefore it's crucial to evaluate it. We have extensive experience in leadership evaluations that yield insights coupled with action plans, to ensure your leadership performance is of the best quality. Employees leave and you have to accept that, but don't let their knowledge leave with them. They may leave for a multitude of reasons, lack of advancement options, mismanagement, and general job dissatisfaction. You need to know the reasons behind their decision. Feedback from employees that decide to leave give you the insight you need to ensure current, valuable employees stay satisfied and engaged in your company. We'd love to help you better your workplace and increase employee engagement. All you need to do is ask. With every single project we take on, we focus on listening, delivering and sustaining. To ensure that you get the best results to elevate your business, we first have to understand your goals, challenges, needs, expectations, and how you work. Only then can we develop the right solution. For solutions to work, they have to be implemented. We see ourselves as your partners in crime and we'll make sure you understand the provided insights fully and guide you into implementing change. We deliver sustainable solutions that yield long-term results. To ensure that, we offer training, staying with you over time, and any assistance you may need.